Modern and contemporary accent chairs are the ideal way to add a touch of class and personality to your living room. So, which style should you choose? Contemporary accent chairs go beyond the functionality of normal, everyday chairs. A carefully selected and complementary accent chair can add vigor and zest to the decor of your home. By themselves alone, accent chairs are simply beautiful to look at, and many consider each one like an individual work of art. You will find accent chairs at high-end hotels, resorts, and luxurious homes and now everyone is catching on. As an added bonus, beautifully designed accent chairs are often cheap enough that you can own more than one and turn your living spaces into an example of magazine-worthy interior design. Contemporary accent chairs are now popping up everywhere, don’t let your home be left out. Take a look at our collection of affordable accent chairs, and discover their huge appeal as statements of class, taste, and lifestyle. Check out our beautiful modern accent chairs and choose the best one you like best. Like any style piece, contemporary accent chairs can cause us a design conundrum when we are faced with so many beautiful pieces to choose from. This is why we found the best colorful accent chairs and unique accent chairs on the internet and handpicked them for you. Here are a few things to keep in mind when choosing an accent chair for your living space. Material - Choosing the right material for your comfortable accent chairs is important. It all comes down to the quality of the material or fabric used. Fabric accent chairs look light and stylish while leather accent chairs look sturdy and solid. The frames come in a variety of different materials including wood, steel, aluminum, and even cane. Whichever material you choose, make sure it adds to and complements the overall beauty of your room. Our colorful accent chairs are made from the highest quality materials and each is designed to be an interesting style item. Size - Like all furniture, comfortable accent chairs come in different sizes to suit all tastes and needs, including your own. Plus-size, kid-size, medium-size, whatever-size, it all depends on the space you have in your room. Choosing the right size for your accent chair is important. Too big and it will dominate the decor and space. Too small and the chair’s impact will be lost. 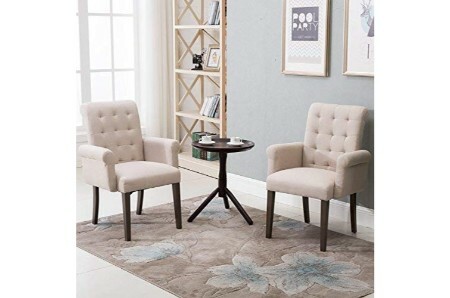 Consider the size of the room where the chair will be placed, then take a look through our catalog of beautiful and unique accent chairs to find the style and size that’s right for your decor. Color - If you are looking for accent chairs or unique accent chairs, you are probably looking for a specific color to match the decor in your room. If you have a more flexible color scheme, there are some handy design hints when it comes to chairs. These are: keep living room chairs in light, bright, and breezy colors and patterns; bedroom chairs can be more colorful or covered in funky patterns; study room and kitchen chairs work well in solid colors. You can also combine and mix it up as you want. Every room requires a specific color to fit, and accent chairs often play a lot with colors. Ready to super-charge your decor? Take a look at our selection of comfortable accent chairs. Style - Style matters a lot when deciding to buy an accent chair. After all, the pursuit of style is the reason why accent chairs exist in the first place. Tastes differ from person to person but because accent chairs come in such a wide variety of styles, we’re sure that you’ll be able to find the perfect one for you. Do you want patterned accent chairs, or is it traditional accent chairs you prefer? Or perhaps you need something really funky? We've got you covered with our stock of accent chairs that will turn your home decor from drab to daring. This is an epic blue wood accent chair, by: Homelegance, an extraordinary home décor design piece. Material: the highest quality of wood and fabric. This is a bargain modern accent chair, lovable and cute. A must for every house. Modern beige accent chair, created by Harper&Bright Designs. 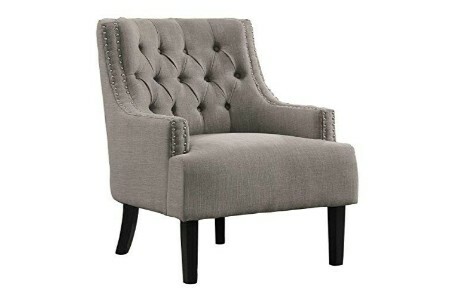 Top of the line fashionable accent chair, a must have living room adornment. Get ready to have the best modern accent chair, it's absolutely stunning and unforgettable. 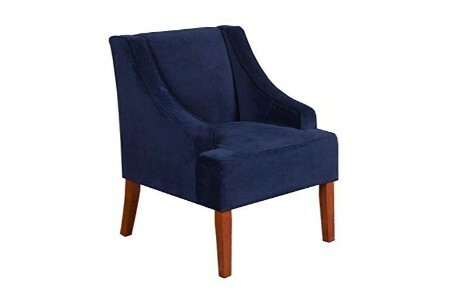 Delicate navy fabric accent chair, made by: Kinfine USA Inc., model: K6499-B215. 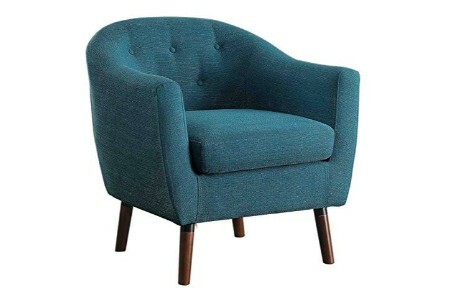 Made with fine fabric, save money with this fine accent chair, a cool interior design accessory. Update your style with this classic accent chair, this is perfect! If you want to add a touch of style you need this beige accent chair, manufactured by Belleze, amazing home décor stylish accessory. Made with excellent fabric and the best wood. Now on discount, 60's accent chair, tremendous! Look no further and buy this taupe fabric accent chair, produced by Homelegance, a must have living room brilliant masterpiece. Made of the highest quality of fabric. This item received the best reviews for modern accent chair. Gem blue fabric accent chair, by: Divano Roma Furniture, model: EXP89-FB-1S. Made of high quality of fabric, discounted luxurious accent chair, a must have interior design accessory. Experience an adventure with this modern accent chair. Ingenious cream white/cherry vinyl accent chair, by: Kings Brand Furniture, model: AC6314. Low cost bold accent chair, an extraordinary home décor stylish accessory. If you are a fan of art you will love this classic accent chair! If you love style and design you will need this grey fabric accent chair, created by Merax, a beautiful living room brilliant masterpiece. Made with first-class fabric. Best savings for 60's accent chair, astounding and remarkable. Dramatic yellow polyester blend accent chair, made by Best Choice Products, model: SKY3946. Made of the very best polyester, cheapest price for such a rich accent chair, a heavenly interior design stylish accessory. astounding and remarkable. This is one of the coolest white/blue fabric accent chairs, by Christopher Knight Home, a beautiful home décor upgrade piece. Made of the very best fabric. A great deal for a modern item, a very unique décor piece that's sure to turn heads. Probably the coolest wasabi accent chair out there, by: GDF Studio, a must have living room brilliant masterpiece. Made of classic materials and a stylish touch. Best price for classic accent chair, it's completely staggering. A really unique blue fabric accent chair, created by Roundhill Furniture, a must have interior design design piece. Made with supreme fabric. Luxury 60's looking accent chair, super fun to sit on and even more fun to design your home with. Make your friend's jaws drop with this light brown/dark cherry microfiber accent chair, made by Kings Brand Furniture out of top-notch microfiber with a unique new age stlye. This is a bargain modern accent chair, don't linger around! The astonishing best seller light grey wood accent chair, brand: Divano Roma Furniture, a beautiful living room showpiece accessory. Discounted modern accent chair, it's absolutely stunning and unforgettable. Get it now! Fancy light green fabric accent chair, by: Kinfine, model: K7307-F2145. Made with top-level fabric, now on discount sensational accent chair, a superb interior design fine accessory. The astonishing best seller classic accent chair, exceptional. Bold gray solid wood frame, polyester fabric accent chair, made by Giantex, model: HW52683GR. Made of classic solid wood. If you want to add a touch of style you need this 60's accent chair, incredibly fun and stylish! Exquisite gray fabric, wood, sponge accent chair, made by LSSBOUGHT. Made with the finest fabric, a heavenly living room masterpiece. Finally the best modern accent chair, this will put a smile on your face in the morning. Decorative storm hardwood frame, polyester accent chair, a piece by Stone & Beam, model: AS-5018-Storm. Material: supreme hardwood and polyester, a delightful interior design accessory. A true smashing modern design hit! We just can't get enough of this cascade pewter fabric accent chair, by: Emerald Home Furnishings, a delightful home décor fashionable piece. Made with fine fabric. A very unique décor piece that's sure to turn heads. Artistic beige fabric accent chair, by Merax, model: WF034955AAA. Material: the finest fabric, a beautiful living room design piece. Prepare yourself for the best 60's accent chair, super fun and for a reasonable price. Nostalgia is back with this beige fabric and wood accent chair, made by Merax, amazing interior design design piece. Made of top-notch fabric and wood. Customized modern accent chair, perfect for your new livingroom. A masterpiece! Get ready for the best grey fabric accent chair out there. An astonishing home décor layout accessory. Material: prime fabric. This item received the best reviews for a modern accent chair, this will blow your mind for sure! Incredibly cool, this amazing gray accent chair, by BONZY, a beautiful living room elegant piece. 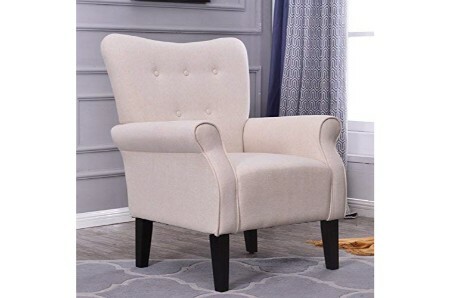 Get the best price for this bergain classic accent chair, so amazing and beautiful. This item will help you create the perfect modern environment. Get ready for the top selling blue polyester accent chair, made by Great Deal Furniture, a beautiful interior design classic accessory. Made with classic polyester. A very unique décor piece that's sure to turn heads. Room plan: The way you want to arrange your living room chairs is a big factor in deciding which accent chair to buy. Often, an accent chair is bought to complement other furniture. Are you buying just one? Do you have a big sofa? Do you have enough floor space? Consider your space and the role you’d like the accent chair to play in it. Budget: As expected, different styles of accent chair all come at different prices. Depending on your taste, your perfect chair might cost less or more than others do. However, when deciding which one to buy, be sure to set your budget limit. Doing so will help you keep a cool mindset and not overspend. Chair style: Like other furniture items, accent chairs offer numerous gorgeous options to choose from. Club chairs, wingback chairs, and bergère chairs are all popular. Browse our catalog and you’ll see examples of each of these accent chair styles. Each has distinct attributes and brings a unique sense of style to your decor scheme. Interior design: For an impactful look, choose a chair that complements your décor. You can select a specific color that will correspond to or contrast with your wall paint, lamps, or soft furnishings. Picking a complementary color means you’ll be able to highlight your room’s best features. Cultured bluish gray dining chair, by: Harper & Bright Designs. Get a great deal for glorious dining chair, astonishing interior design fashionable piece. If you are like us you'll can't get enough of this modern dining chair, so beautiful! Incredibly cool, this amazing grey dining chair, created by Harper Bright Design, a must have living room adornment, will change the way you feel about your home. The best affordable modern dining chair, don't linger around! If you are like us you can't get enough of this black polyurethane dining chair, created by Merax, an extraordinary home décor design piece made out of the finest materials. Customized 60's dining chair, fun and affordable. Fine grey Fabric dining chair, manufactured by: Merax, model: WF016104. Material: first-class fabric, a delightful interior design item. Make your friend's jaws drop with this dining chair, this will put a smile on your face in the morning. Incredibly cool, this amazing beige Fabric dining chair, by: Merax, a beautiful living room fine accessory. Material: top-notch Fabric. Special mid-century modern dining chair, this will put a smile on your face in the morning. Tasteful beige dining chair, produced by Harper & Bright Designs, model: PP038186. Made with top-notch wood, a must have home décor showpiece accessory. If you love style and design you will need this modern dining chair, so beautiful!